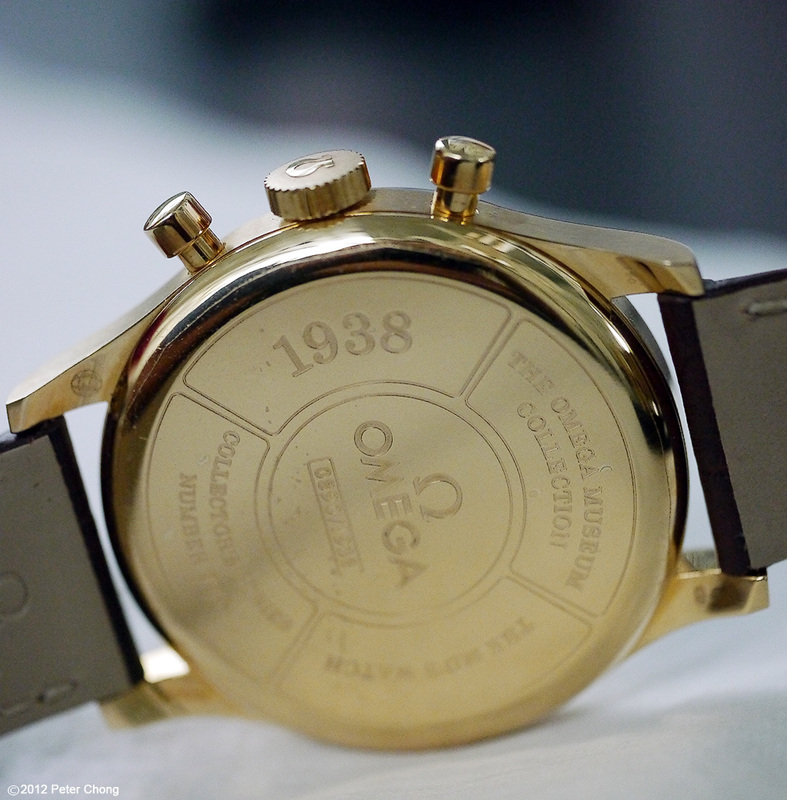 Omega recently added some watches to their collection which are homages to the watches that made the brand in the early years. 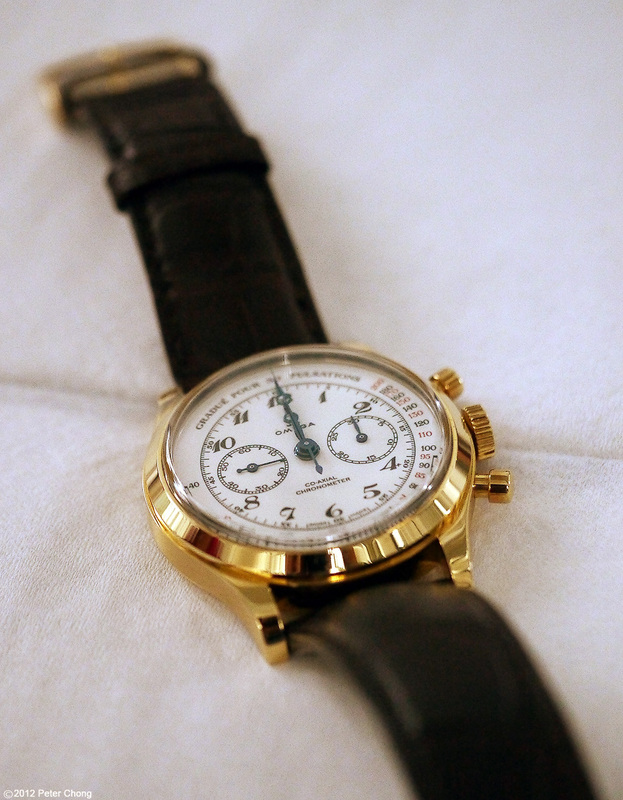 Today's watch is the Museum collection no 10, issued in 2010 as a replica of the 1938 chronograph. I am not so sure about the name Omega has chosen for this watch...replica sounds like a fake watch...but make no mistake, this watch is the real deal...and very beautiful. 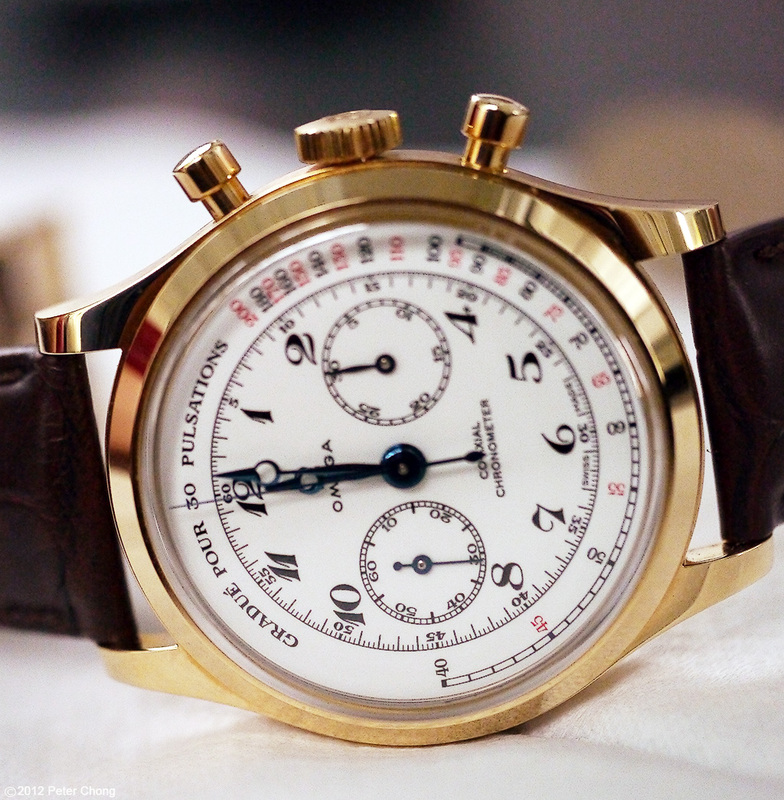 A rather handsome watch...with a beautiful enamel dial. And not totally a replica of the original, as the movement in this watch, limited to 1938 pieces, is updated with the Omega Coaxial escapement. This watch is the personal timepiece of a good friend. And not spcially prepared for photography. I took these photographs on the table of a local restaurant, with no special lighting, handheld.